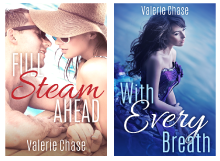 Valerie Chase: 12 Days of New Adult Romance: Cover Reveal for FULL STEAM AHEAD! 12 Days of New Adult Romance: Cover Reveal for FULL STEAM AHEAD! Welcome back to my blog series, the Twelve Days of New Adult Romance! 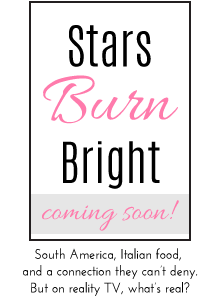 Today I am BEYOND excited to feature my cover reveal for my NA romance debut, FULL STEAM AHEAD! Here she is in all of her glory! Georgia wishes she could erase the nightmare that has consumed her life for the last six months—but she can’t. With her inbox filling with menacing emails and with a terrible secret eating at her nerves, she just needs to get through her sorority’s winter break cruise without anyone realizing how wrecked she is. 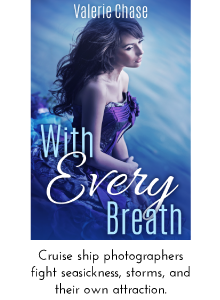 What she doesn’t need is Jace McLaren, a green-eyed womanizer, seeing through her tacked-on smile when no one else seems to notice. Eeeek! This is all feeling so real! I'm a mixture of excitement and nerves. A big shout out to Giselle from Xpresso Book Tours for organizing this cover reveal for me. And what do y'all think? Do you like the cover? Leave me a comment in this post to let me know! 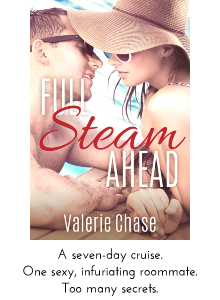 If you'd like to win an e-copy of FULL STEAM AHEAD (along with a slew of awesome NA romances), please enter my giveaway below!